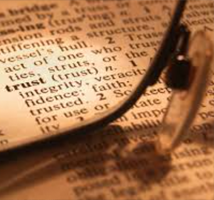 The formation of a Trust(s) follows Trust Law which is often like trying to learn a new language. There is specific Legal Language (Legalese) embedded within a Trust which can be difficult to understand. Please feel free to use the following Trust Definitions guide to assist you in decoding terms you may find. If you have any questions at all, please feel free to contact us at any time! Amendments – Changes made, either by way of correction or addition. Administrator – The individual or institution appointed by the court to oversee the settlement of an estate of a person who has died without a will. Alternative Date of Death – The executor or trustee of an estate has the option to appraise or value assets six months after the death of the decedent. Estate tax liabilities may be lower in the event that assets values have declined over this six month period. Affidavit – The written declaration of facts made voluntarily under oath. Ancillary Administration – The Probate of the decedent’s property located in a different state than which the decedent lived. Annual Exclusion – The amount of money or value of property (currently $12,000 for an individual and $24,000 for husband and wife) that can be given as a gift to a recipient each year without incurring gift tax. Appraisal – The process of determining the fair market value of property or asset within an estate. Ascendants – The ancestors of a person either alive or deceased such as; parents, grandparents, great-grandparents. Beneficiary – (a) The beneficiaries are those entitled to receive benefits from the trust; (b) The person for whose benefits a trust is created or the person whom the amount of an insurance policy or annuity is payable. The person designated to have and hold the equitable interest in a trust estate; (c) In a Business or Pure Trust, the beneficiaries are the holders of Trust Certificate Units (TCU’s). Bequest – A Gift of property given under the terms of a will. Bond – Money that backs a promise that an individual will perform a duty. Business Trust – A common law contract arrangement whereby a legal entity is established similar in form to a corporation but taxed either as a corporation or as a trust depending on the laws of the particular jurisdiction in which the instrument is created, and in accordance with the terms and conditions of the agreement and the methods by which it is utilized. Any trust which by operation of state or federal tax law can be taxed in the same manner as a corporation. Often termed as “Massachusetts Trust”, Unincorporated Business Organization, Business Trust Organization, Unit Trust, or Common-law Trust. Similar to “Pure Trust”. Commonly abused by tax resistors and promoters. Not recommended. Capital – Principal or corpus or value of assets placed in trust. Capital Gains and Losses – A tax calculation, the difference between the purchase price (cost) and selling price (proceeds). Civil Law – The legal system prevailing in the European, Asiatic, Central America, and South America countries which inherited their legal systems from Rome; in practically all except the English – speaking countries. Claim Against an Estate – Refers to a charge against an estate to settle an agreement or an outstanding obligation (as in the case of bills unpaid at the time of death). Clifford Trust – A short-term irrevocable trust which lasts at least 10 years. When the trust ends, the principal is returned to the original owners. Codicil – An addition or other change to an existing will. Contest of a Will – Challenging the validity of a will, through a legal proceeding, to prevent the distribution of estate assets. Common Law – That part of the law which has developed over time through court decisions and opinions rather than by state statue or other legislative process. The legal system prevailing in the English – speaking countries; that is, the United States and the countries making up the British Empire and Commonwealth of Nations. Originated in England. Different from that of Roman civil law. Compare Civil law. Common-Law Trust – See “Business Trust”. Community Property – An undivided interest arising by operation of state statute, in real or personal assets owned during or acquired during marriage by the spouses. Can be nullified by transfer from one spouse to the other. Property in which a husband and wife have each an undivided one-half interest. Competent – Legally qualified; possessing adequate mental capacity. Complex Trust – (a) Any trust in which the trustees have the discretion whether or not to distribute income, or a portion thereof, to a beneficiary or beneficiaries in any year; per IRS Code is a trust that is not defined as a “simple trust” or a “grantor trust” under the IRS Code. Contract – An agreement in which a party undertakes to do, or not to do a particular thing. The essential elements of a written contract are (a) parties competent to contract, whose names appear in the writing; (b) the subject matter of the contract, or a clear statement of what is to be done or not done; (c) lawful and valid consideration, and if made up of mutual promises, then a clear and explicit statement of what each party promises to do or not do; and (d) agreement of the signed parties. Contract Law – See “Law of Contract”. Contract And Declaration Of Trust Indenture – See “Trust” and “Contract”. Conveyance – The act by which title to property is transferred. Usually an instrument in writing. Corporation – An artificial being created by law and endowed with certain rights, privileges, and duties of natural persons. Corpus – The body of assets or property belonging to an entity, such as a trust or estate. The principal or capital of an estate, as distinguished from the income. Creator – A Creator in a document is the person who establishes a trust by conveying assets to it. aka Grantor, Settlor or Trustor. Creditor – A individual, business or entity which may be owed money by an estate. Decedent – The person who has died. Deduction – For tax purposes, the portion of an estate that does not generate tax (such as the unlimited marital deduction). Descendants – Any children or offspring leaving or deceased including grandchildren. Declaration of Trust – An acknowledgment, usually but not necessarily in writing, by one holding or taking title to property that he or she holds the property in the trust for the benefit of someone for or to the use of another. See Trust Indenture. Deed – Written document by which the ownership of land is transferred from one person to another. Deed of Trust – Almost always is used as a protective device like a mortgage or used as a recorded document to notify and secure monies against real estate. Could be used for some other secured right. Descendant – One who is descended in a direct line from another, however remotely; the same as “issue”. Relatives. Devise – A gift of real property by will. A person who receives such a gift is called a devisee. Discretionary Trust – A trust which entitles the beneficiary only to so much of the income or principal as the trustee in its uncontrolled discretion shall see fit to give the beneficiary. District / District of Columbia / D.C. – A location within the continental United States, that is NOT a State or within any State of the United States. Designed by the originators and forefathers of the constitution as a separate place that cannot be controlled by any state. A safe, independent, small, city-like community, that is the central place of national government of the United States of America as a whole. Dividend Trust Certificate Units – Trust Units similar to “Stock” that cannot be attached, given away, or taken away that are limited to income (not principal). See similar “Equity Trust Certificate Units”. Domicile – The legal residence of a person or entity. The state and county that the decedents lived (primary residence). A person’s domicile may or may not be the same as his or her residence at a given time. Donee / Donor – The recipient of a gift; the giver of a gift. Dry Trust – Any type of trust without assets. A shell. Equity – A system of legal principals, rules, and law which arose outside the common law which has power to enforce discovery, and administer trust, mortgages, and other fiduciary obligations, administers and adjusts common-law rights were rights where the courts of common law have no means, and supplies a specific and preservative remedy for common-law wrongs where courts of common law only give subsequent damages. Its characteristic is flexibility and its aim is the administration of justice. Equity Trust Certificate Units – Trust Units similar to “Stock” that cannot be attached, given away, or taken away that are limited to principal (not income). See similar “Dividend Trust Certificate Units”. ESOP Dividends – dividend distributions from employer stock within an ESOP (employee stock ownership plan) are exempt from the early distribution tax. Estate Tax – A tax imposed on a decedent’s estate from effects of a will (or lack of a will). Executor – An individual or a trust institution (perhaps nominated in a will and) appointed by a court to carry out duties. Family Limited Partnership (FLP) – an FLP protects assets by limiting the ability of a limited partner’s creditor from accessing partnership assets to satisfy a debt. Even if a creditor gets a charging order against a limited partner’s interest, the creditor would only be able to receive distributions if they are made – and a general partner could elect not to make any distributions. Family Trust – A term loosely defined as any Trust that is to manage and protect assets for family members. Fee Simple – Absolute title. The kind of ownership which enables the owner to manage and control property. Fiduciary – An individual or a trust institution, a person, persons, acting for the benefit of another party. The individual or institution responsible for acting in the best interests of another party. Fiduciaries are bound by law to put aside personal interests and act in good faith when making decisions for the benefit of another. Foreign Corporation – A corporation organized under the law of another state or country. Funded Insurance Trust – A trust with assets which could be an insurance policy and/or other kinds of property. Grantor – Deed – The person transferring his title to another (the Grantee) under a deed. Trust: The same as Creator, Settlor, or Trustor. Guardian – A individual or institution (trust company) determined by a court to manage the property of a individual who is judged incapable of handling their affairs. Grantor Trust – A term used in the Internal Revenue Code to describe any trust over which the grantor or other owner retains the power to control or direct the trust’s income or assets. Grantor Retained Annuity Trusts – (GRATs) – are a favored estate planning tool for transferring assets with little or no gift tax consequences. To establish a GRAT, the grantor sets up the trust to which assets are transferred for a retained annuity for the duration of the trust, which can be as short as two years. GRATs have become increasingly popular over the past few years because of depressed asset values and low interest rates. The assets placed into the trust are invested and whatever appreciation remains after the required annuity payments to the grantor are transferred to beneficiaries free of gift tax. The trust assets are returned to the grantor as a final annuity payment at the end of the trust term. Heir – A person inherits funds or property from the estate of a person who has died. Homestead Property – Property that is set aside for a specific family member that cannot be transferred to a third party. Homestead – On the simplest level, a document you file with the County Recorder, and when you do it, you gain a lot of protection for your home. More specifically, if you file a declaration of homestead, then some of your equity in your home will be protected against forced sale by creditors. Income-shifting – Determine where to funnel income to control tax brackets. Incompetents – Persons not able or competent to perform duties. Insurance Trusts – A trust specifically designed for insurance. Interested person – A person who may have a claim against a decedent’s estate or an interest in a distribution or outcome of an estate. Inter Vivos Trust – or (“intervivos”) – Any trust which is established during life. Inter Vivos Qualified Terminable Interest Property Trust (QTIP) – this spousal trust protects assets from creditor claims for both spouses. Intestate – Without a will. Invasion of a Trust – Refers to a distribution of assets made from the principal of a trust. Irrevocable Life Insurance Trust (ILIT) – the cash value of the policy is protected from creditors while you are still living, and the proceeds that go to beneficiaries are also protected when you die. Irrevocable Trust – Any trust in which the creator retains no power to revoke or cancel the trust agreement. Joint Tenancy – aka Joint Ownership – An undivided interest in property held by two or more persons, who all hold the same title and rights of possession, at the same time, jointly, and under which the survivor or survivors take the entire interest. Judgment Proof – A person without assets or concern of lawsuits. Jurisdiction – The authority of a court to determines legal cases. Land Trust – Commonly referred to as an Illinois Land Trust, for houses, property, or other real estate (or notes and mortgages secured by real estate). Unique features for land ownership. Last Will – Literally, the will last executed by an individual, which revokes any former existing wills. Letters of Administration – Documentation signed by the probate court give a person authority to act on behalf of an estate. Law of Contract – The basis upon which many contracts exist (as opposed to the Law of Statutes). The right to contract was exposed and granted by the U. S. Constitution. Law of Statute – Laws based on a single State of the United States. Usually binding in other states, but based upon state law. Most attorneys assume contracts are based upon the local state law, unless stated otherwise within the contract. Also, most attorneys will create contracts based upon their local state laws, because their license, training, and background are similarly based. Legal Ownership or Legal Title – An estate or interest in property which is enforceable in a court of law. Lien – A hold upon property until payment of a debt or duty. Life Estate – Only a benefit during the life of a person. Lis Pendens – “Suit pending”; notice of action. Living Revocable Trust, Living or “Inter Vivos” Trust – A trust created during the lifetime of the creator. Living Will – A legal document in which an individual states, in advance of final illness or injury, his or her wishes regarding procedures and equipment designed to extend life. Massachusetts Trust – See “Business Trust”. Nevada Trust – A trust created based upon Nevada Law because of favorable laws regarding state taxes. Notary Public aka NOTARY – A person that attaches a signature and Seal by a Notary Public signifying that a specific person(s) has personally signed a document. Sometimes also attesting that an oath was stated as well. Passive Trust – A trust regarding which the trustee has no active duties to perform, being merely a titleholder or holding entity. Perpetuity Law – Any limitation or condition which may take away or suspend the power of alienation for a period beyond life or lives in being and 21 years thereafter. Person – Either a human being, corporation, partnership, trust, or other entity, unless shown that only a human being is intended. Personal Property – All property other than real property. Petition – Documents filed in probate court to request that an action be taken, such as a petition to open an estate for probate. Power – Authority or right to do or to refrain from doing a particular act, such as a manager’s banking power. Power of Appointment – The power given by an individual to another in a will or trust document to determine which persons will receive an interest in his or her estate. Power of Attorney – A legal document authorizing one individual to act as the agent or “attorney” for another (the “principal”). If the attorney is authorized to act in behalf of another for all matters, he or she has general power of attorney. Authority to act solely regarding specified situations is special power of attorney. If the authority granted extends beyond the disability of the principal, the attorney has durable power of attorney. Preference – The payment of certain types of creditors before other creditors. Principal – In either a trust or a will, the real and personal property which initially makes up the corpus of the estate or which is subsequently transferred thereto from which income is produced; or in an agency relationship, the principal is the individual who authorized another to act on his or her behalf, which individual is also known as an agent. Private Asset Trust – A trust created for the privacy, protection, and benefit of a designated beneficiary or designated beneficiaries, such as a trust for the benefit of the settlor’s or the testator’s spouse and children. Beneficiaries may (or may not) be aware of the trust or its’ terms. Probate – Procedures which are followed under court direction and supervision to allocate property with (or without) a will. The court system takes authority over the assets of the estate of an individual and determines validity, distribution, and appoints a legal representative to manage the affairs for a large fee. Probate Court – The court that has jurisdiction with respect to wills and intricacies and sometimes guardianships, adoptions, etc. ; also called court of probate (Connecticut); surrogate’s court (New York); Ordinary Court (Georgia); Orphan’s Court (Delaware, Maryland, New Jersey, Pennsylvania); and Perfect’s Court (New Mexico). Probate Fee – A fee pertaining to probate. Usually in addition to lawyer fees and court costs. Pro rata – A portion of value based on percentage amount. Prudent Investor Rule – Legal term that refers to the duty of the fiduciary to invest and manage assets in the best interests of another. Prenuptial Agreements – Agreements made before marriage about what will result of each spouse’s assets and belongings they owned before the marriage in case of a divorce. Property – The assets that are owned by a person. Quite often refers to real estate, or an interest in real estate. Public Administrator – In many states, a public official whose main duty is to inventory, protect, move, and control all assets until a court determines the settlement of the estate of persons who died without appointed individuals and have assets not in a trust. Pure Trust – An irrevocable trust arrangement, based on the Laws of Contract, that does not have a Grantor, which that holds fee simple title to the trust assets, and has a termination date. The beneficiaries of which are the holders of Trust Certificate Units (TCU’s). Additionally, the trust must not contain three of the following: Centralized management, Continuous Life, Easy transfer of beneficial interest, or Limited personal liability of trustees. Commonly abused by tax resistors and promoters. Not recommended. Qualified Personal Residence Trust (QPRT) — allows an individual or married couple to gift up to two homes to their children and continue to live there. The purpose of a QPRT is to remove the value of a grantor’s primary or secondary residence from their taxable estate, and insulating it from creditor claims. Qualified retirement plans – IRAs and 401(k)s provide an extra layer of asset protection as well as a tax deduction for contributions. QTIP – Inter Vivos Qualified Terminable Interest Property Trust – this spousal trust protects assets from creditor claims for both spouses. Quit-Claim Deed – A legal instrument by which one conveys all of his right, title and interest in real estate to another without giving any guarantees of any kinds as to what, if any, that right to, title, or interest in the property is. Real Estate – The right, title, or interest that a person has in real property that legally are classified as real; opposed to personal property. Real Property – Land and that which is attached to the land. Reciprocal Trusts – Trusts made by two or more persons that make reciprocal provisions in favor of each other. Recordation – Notification to the public by filing with a government recorder that confirms trust existence. Remainderman – In the case of a trust, this term refers to the individual who will receive the principal of a trust when final distribution takes place. Revocable Trust – A trust which by its terms may be terminated. Rule against perpetuities – A rule of common law that makes void any estate or interest in property so limited that it will not take effect or vest within a limited period of time. Does not distribute the corpus of the trust or make charitable contributions. SPA Trust – Special Power of Appointment Trust – Most trusts allow and provide for the power to appoint additional or replacement trustees. Special Needs Trust – A special needs trust can help by paying for things to improve quality of life that the government will not generally pay for; education, cultural events, travel, computer and media equipment, gifts, and books. It can be established for an adult of any age, and anyone can contribute to the trust. Spousal Gifting Trust – if you’re married, you and your spouse can create a Spousal Gifting Trust to protect assets against estate taxes and creditors, while retaining the control and use of those assets. SS-4 – The application form that is used to apply for a federal tax identification number with the IRS. State Inheritance Taxes – Only pertains to assets or residents in certain states. State Law – See “Law of Statute”. Successor Trustee – or Successor Executor – An individual or institution taking the place of a trustee or executor unable to continue the responsibilities designated in the trust agreement or will. Summary Administration – A simplified probate proceeding for estate valued at less than a stipulated amount (see state statues) and holds no real property. Taxes – Trusts are not required to file a tax returns, provided that the tax reports on all items of income and allowable expenses are reported on a personal Form 1040, U.S. Individual Income Tax Return. 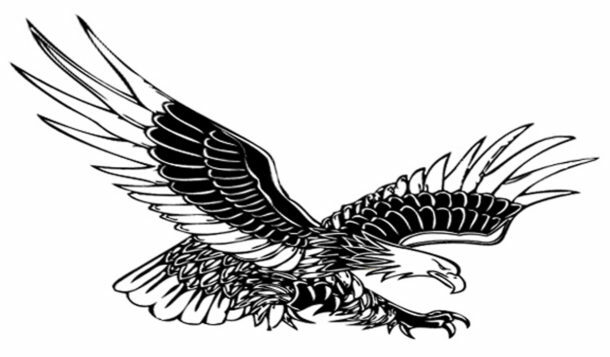 TCU’s / Trust Certificate Units – In a Pure Trust arrangement, the division of the right to receive distributed income and right to receive corpus at termination, into 100 units which represent one percent each of those rights. Tenancy-in-Common – A form of shared ownership where there is no right of survivorship. Tenants-in-common can own property in unequal shares, unlike joint tenants who each won an equal share of the property. Testamentary Trust – Any trust which is established by will, or does not take effect until the death of the Settlor. Testate – Leaving a valid will. Testator – A person who leaves a will or testament in force at their death. Totten Trust – A simple savings bank trust, revocable at any time before the death for the depositor/settlor. Trust – A legal, fiduciary relationship in which an individual or institution (the trustee) holds legal title to property with the responsibility for keeping or managing this property for the benefit of another person or beneficiary. Trust Agreement – A legal document that establishes a trust and outlines the rules and guidelines affecting its management and disposition. Trust Fund – Property held in trust. This term originally applied only to money held in trust, but is frequently used when referring to all property held in trust. Trust – A relationship in which one person (the trustee) holds title (often subject to a number of conditions) to property for the benefit of another person (the beneficiary). A trust is commonly used when money is left to people inexperienced in its management such as children or as a tax saving device. A testamentary trust is one established by a will. Trust Deeds – See “Deed of Trust”. Trust Organization Bylaws – Rules determining operations of trust. Trustee – (a) The only person(s) in control (with power); (b) The person(s) appointed conserve and administer the assets of the trust for the beneficiaries; (c) The trustee holds legal title to the trust assets and is required to administer the trust on behalf of the beneficiaries according to the express terms and provisions of the trust agreement. A fiduciary is an individual or organization charged with the duty to act for the benefit of another. NOTE: A trustee is always a fiduciary. Trustor – Same as Creator, Grantor, or Settlor. U.B.O. BUSINESS TRUST – See “Business Trust”. Will – A legal document in which a person states who he wants to inherit his property, etc. Our goal is the Educate, Empower, and even Entertain to protect you and your family from life's events.